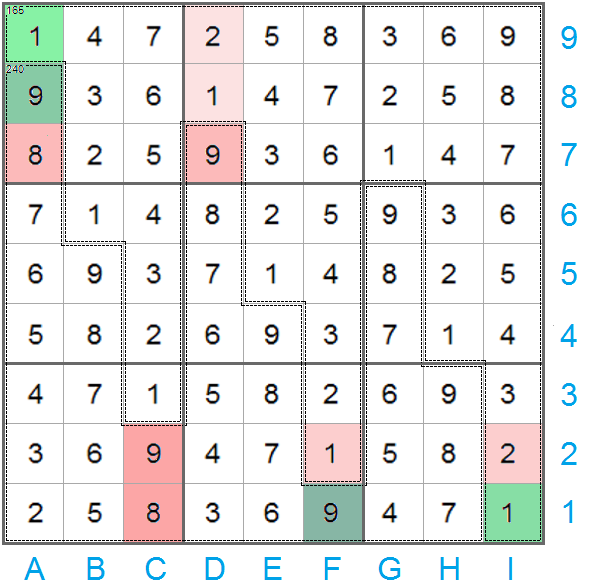 Task 1: Find the maximum value of $n$ for which it is possible to create a regular uniquely-solvable Killer Sudoku (9x9) such that every cage has atleast $n$ cells in it. Each row, column, and nonet contains each number exactly once. The sum of all numbers in a cage must match the small number printed in its corner. No number appears more than once in a cage. Task 2: What if rule number 3 was ignored? The biggest $n$ we could hope to find is $81$ with a single cage which is obviously not going to work. The next biggest would be $40$ with two cages of $41$ and $40$ cells. We need to get as close to this as possible while enforcing uniqueness, which means we need to first force some cell to be some value and then have that force another and so on cascading through the entire sudoku. Make it so one cage has rows and columns containing $(1),(1,2),\dots,(1,2,3,4,5,6,7,8,9)$ overlapping on the highest numbers and the other has the rest (overlapping on the smallest numbers). The two cages will now be the cages with the smallest and largest possible sums for their sizes too. Two separate ones and two separate nines will fall out first, then two pairs of "a one and a two" and two pairs of "a nine and an eight", and so on until the whole sudoku is filled in the only way possible. This same process then cascades through to completion. To get things going: a simple observation giving us an upper bound $n \leq 8$ for task 1. Task 1 for $n=9$ (creating a uniquely solvable $9 \times 9$ killer Sudoku with cages of size $n=9$) can not be accomplished. 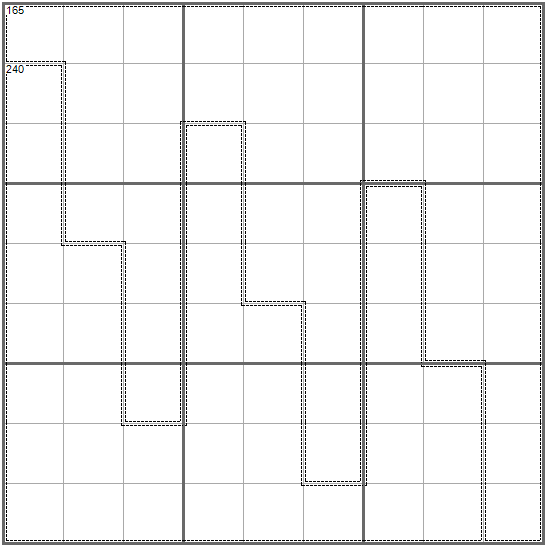 This follows from the fact that if a solution would exist such that each row, each column, each nonet and each 9-cage contains the numbers $1, .. 9$, one could swap any two numbers across the grid (e.g. swap all $1$'s and $2$'s) and thereby obtain another solution. Not the answer you're looking for? 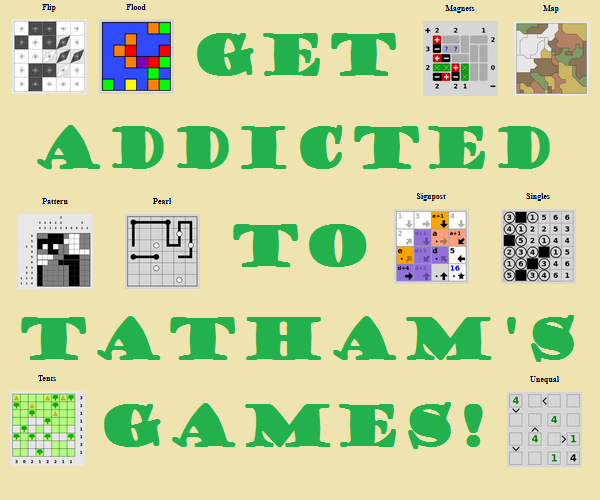 Browse other questions tagged logical-deduction calculation-puzzle optimization sudoku or ask your own question. Sudoku and guessing : theory?